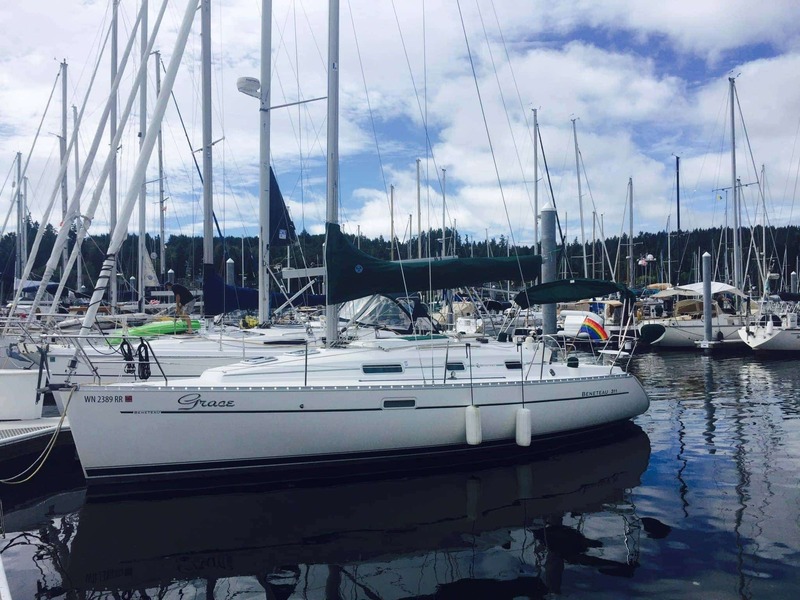 We seem to have fallen in love with Bainbridge Island, specifically Winslow Wharf Marina. 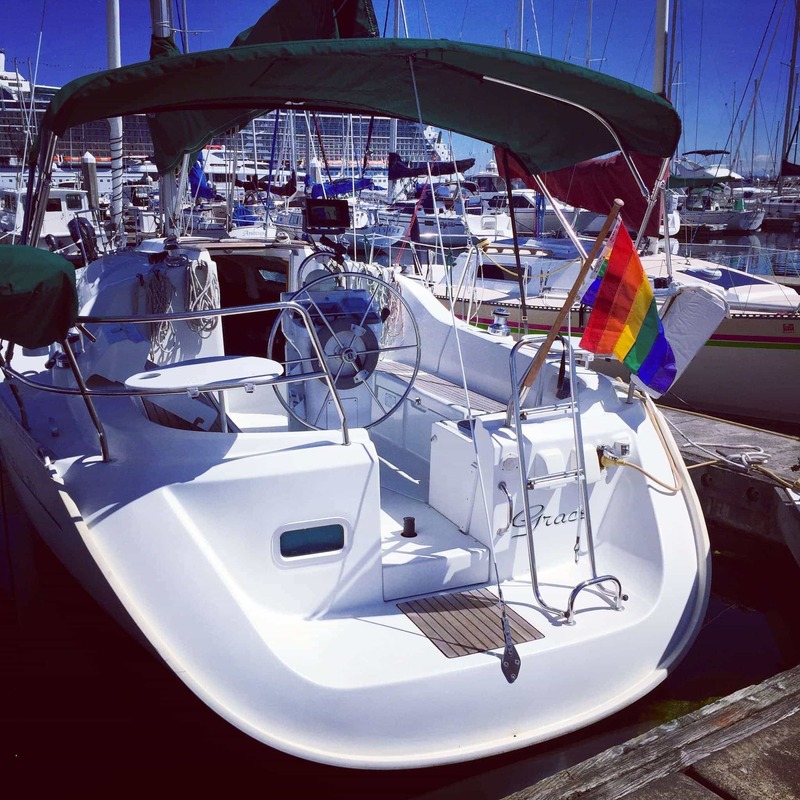 It’s so easy to get there from Elliott Bay Marina, and feels like you’re just out for an afternoon sail. It seems lazy, but after a year of hard work on a major work project, and selling Jammy and purchasing Grace, I’m OK with short trips for now! A few days before I had Jones Detailing give Grace a deep cleaning and polish on the hull and elsewhere. They did a great job, and ended up warping the boat around stern-in to be able to complete the work. It was quite a surprise to arrive to her oriented that way in the slip, but I like it. I don’t think I’m ready to back her in this way, but I’d like to learn! Grace stern-in at the marina. I wish I could do this myself! 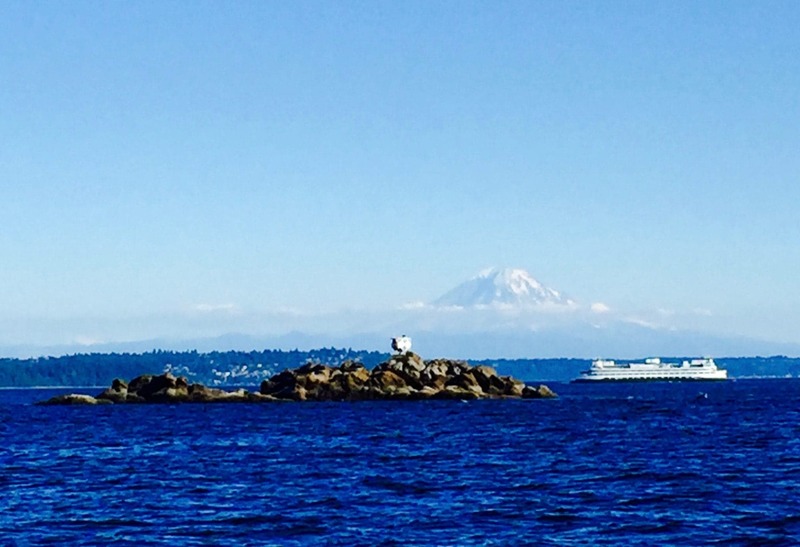 Blakely Rocks with a Washington State Ferry from Bremerton, and Mount Rainier. Timing is everything! JJ joined me as crew again, and we had an uneventful trip over to Bainbridge, with some amazing scenery along the way. 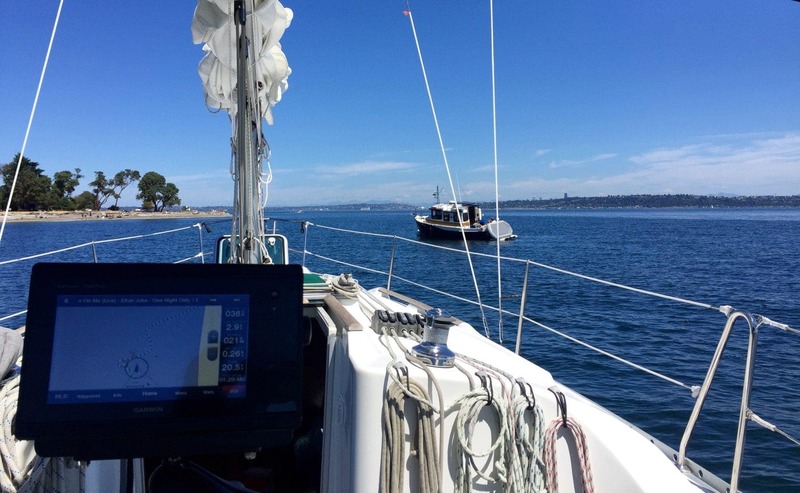 The wind was 10kts and variable, but enough to scoot us along well without having to work too hard. The dock at Winslow Wharf was a different slip than last time, but it was still a great location, with hardly anyone around us in the evenings. We spent two nights here, hanging out, enjoying the air conditioning (I don’t even have that at home!) and playing lots of games. Doc’s was frequented a lot again, and we went to our favorite Mexican place up the hill. Sunday afternoon we headed out the channel back towards Blake Island and caught a mooring ball. Our neighbors were fun to watch – one set of them decided to swim to shore, which was a cold affair. After only about an hour, we both were getting super seasick from tons of power boats going by generating waves. We motored home, enjoyed the air conditioning at the dock, took a nap, and went home. Another successful overnight on Grace – I kept learning more and more about what I wanted to update/change or fix so that folks are more comfortable, and the boat was more usable from my perspective. Projects are a’ comin!